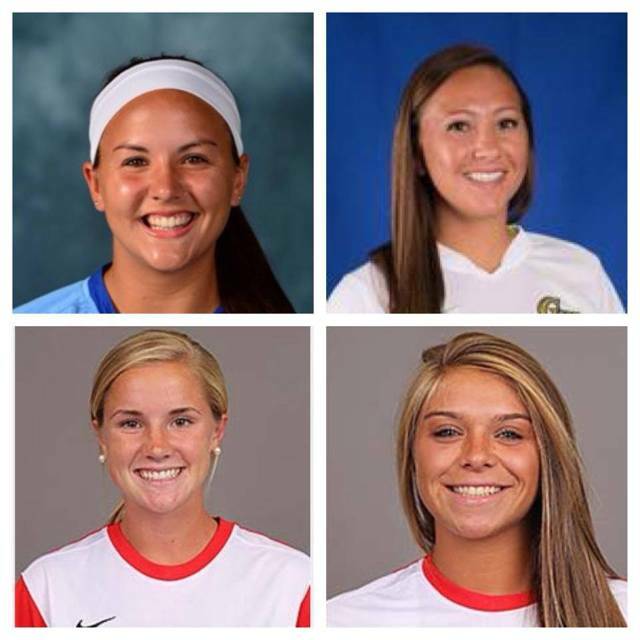 Congratulations to these former Academy players who will be representing their schools (Rutgers, LaSalle and George Washington) in their college conference tournaments! Good luck this week!! Congratulations to these former Academy players from the original Airstorm. Tori Gerstenacker and Rebecca Gougher (Rutgers University - Camden) were each named to the NJ Athletic Conference All-Conference team. Diana Malanga (Kutztown University) and Courtney Rosu (Western Carolina University) also helped lead their teams to their conference tournaments. Good job ladies!! Coach Kris is proud of his players success!! !